HP 2420 MICR Toner - HP 2430 MICR Toner Q6511A - Print your own checks with our modified HP 2420 MICR Toner. This premium modified HP 2430 MICR Toner delivers excellent print value. 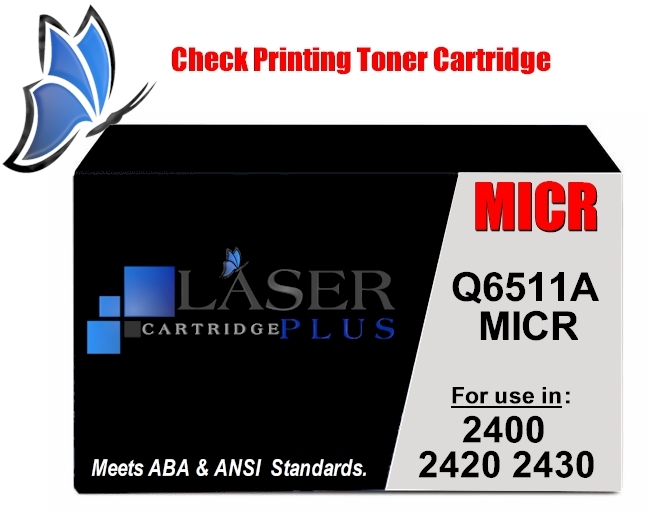 This HP Q6511X MICR Toner Cartridge is a modified HP black toner used in MICR check printing. 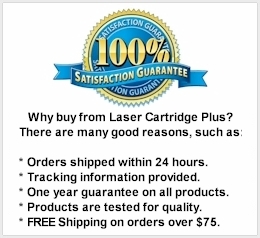 For use in: HP LaserJet 2400, 2420, 2420d, 2420dn, 2420n, 2430, 2430dtn, 2430n, 2430tn, HP Printer/Scanner/Copier 2410 printers. 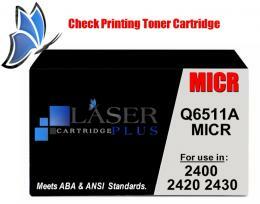 Compatible with MICR Cartridges: Q6511A, Q6511X, THN-11A, THN-11X. Page Yield: 6,000 @ 5% coverage.